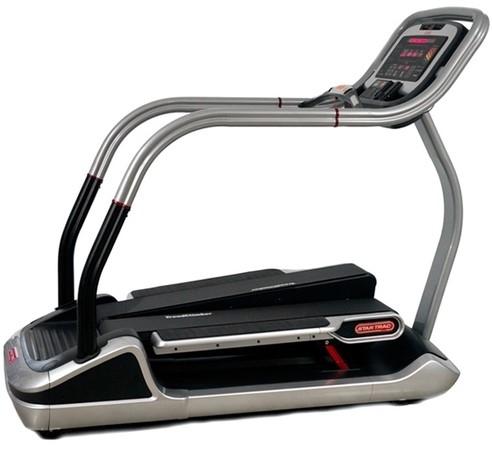 The StarTrac E-TC TreadClimber is one of the most innovative cardio machines on the market. It is a great workout machine for those that are looking for an effective and efficient workout. It incorporates all the best of a treadmill, a stepper, and an elliptical machine. Due to the rising and falling motion of the split deck (treadles), your stride length is larger, working your hips more and helping you burn as much as twice the amount of calories than on any one machine alone. Belt Length / Width: 52" x 9" x 2"